The American Legion was the first veterans service organization to call for major changes at the top of the Department of Veterans Affairs to resolve a tragic problem that appears to be costing lives all across the land. I did not take lightly the decision to call for the resignation of VA Secretary Eric Shinseki - whose proud military career I deeply respect - and his undersecretaries for health and benefits. When I made that call, I looked across the National Executive Committee room in Indianapolis and saw hundreds of American Legion Family members and staff. I realized the many tens of thousands of veterans each of them represents. The time had come for action. I am not surprised about the extraordinary response we have received from the media, Capitol Hill and the White House about the issue at hand . The American Legion has the nation’s ear because it is the nation’s largest veterans service organization. In order to maintain that strength, and increase it as millions of new veterans come home from war looking for help, we need to grow even stronger. Please ask an eligible veteran to join us today as we work toward meaningful changes at VA.
No veteran should tolerate a disingenuous VA. As whistleblowers step forward and more facilities are accused of cooking the books while veterans die waiting for appointments, our voice must be heard, loud, clear and in great number. It is up to us to stimulate the changes necessary to restore veteran trust in the VA health-care system. Please send your elected members of Congress an email encouraging support of the VA Management Accountability Act of 2014. Visit our Legislative Action Center to learn more about it and other pending bills of importance to the Legion. I also encourage you to sign up to receive email action alerts that let you know when your support is needed on various issues. Sign up here. 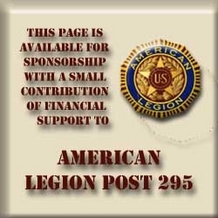 As recent weeks have shown, The American Legion is needed now as much as ever. Help us remain strong by recruiting a new member today. 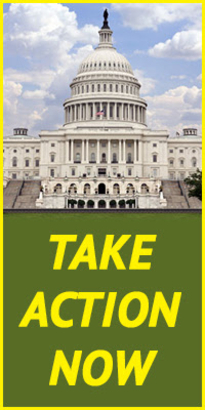 Contact your congressional representatives and offer your voice of support for the VA Management Accountability Act. Help your fellow veterans. That’s what we do. If the chained-Consumer Price Index (C-CPI) is adopted as the federal measure for the cost-of-living allowance (COLA), Sen. Bernie Sanders, I-Vt., predicted the outcome would be "an absolute disaster." The incoming chairman of the Senate Veterans’ Affairs Committee voiced his views on the issue Dec. 19, during a press conference in Washington. The Congressional Budget Office (CBO) recently proposed that COLA increases be linked to the C-CPI as a means of saving more than $200 billion federal dollars over the next 10 years in reduced benefits from the Department of Veterans Affairs (VA) and the Social Security Administration. 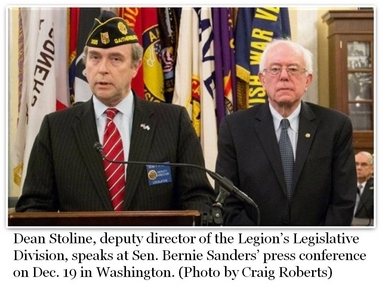 The American Legion opposes the plan as a "misguided public policy" that "would have significant deleterious effects on the benefits of millions of veterans ...."
According to a press release from Sanders’ office, the CBO proposal would cut VA disability benefits for a 30-year-old veteran by more than $13,000 a year by age 45, $1,800 a year by age 55, and $2,260 a year by age 65. Senior citizens who retire by age 65 would see their Social Security benefits reduced by about $650 a year by the time they reach 75, and more than $1,000 a year when they turn 85. "I challenge anyone who supports a chained-CPI to go to Walter Reed (National Military Medical Center)," Sanders said. "Visit with the men and women who have lost their legs, lost their arms, lost their eyesight as a result of their service in Afghanistan or Iraq. We made a promise to these veterans. Cutting their COLA’s would be reneging on those promises, and we cannot let that happen." Dean Stoline, deputy legislative director of The American Legion, also spoke at the press conference. He warned that CBO’s plan would have a far greater effect on the economic security of many veterans and their families "because the VA programs for service-connected disability compensation, Dependency and Indemnity Compensation and VA pensions also use the same COLA percentage adjustment as Social Security." Stoline said that if the C-CPI proposal is enacted by law, it "will result in lower lifetime earned benefits for millions of veterans. For example, today, more than 3.2 million veterans receive VA disability compensation benefits and over 310,000 veterans receive VA pension benefits." 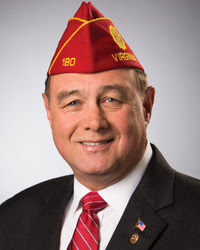 American Legion National Commander James E. Koutz sent a letter to leaders in the House of Representatives on Dec. 14, reminding them that the current COLA formula "already understates the true cost-of-living increases faced by seniors and people with disabilities .... Adopting the chained-CPI would make their situations much worse over time." For those who characterize the C-CPI plan as a "minor tweak," Sanders said it is "a significant benefit cut that will make it harder for permanently disabled veterans and the elderly to feed their families, heat their homes, pay for their prescription drugs and make ends meet. This misguided proposal must be vigorously opposed." Read more about the press conference on Senator Sanders website. American Legion Priorities are highlighted. Motor Vehicle Registration Fees - Exemptions - Gold Star Wives of America, Inc.
Motor Vehicles - Registration Plates - "Home of Our National Anthem"